In response to the recent bioboom, physicians may consider switching patients to a biosimilar for a more affordable alternative. However, this is a decision that shouldn’t be made in haste and has a few crucial points to be considered. Pharma IQ spoke to The European Trade Association for biopharmaceutical companies (EBE), European Federation of Pharmaceutical Industries and Associations (EFPIA) and the International Federation of Pharmaceutical Manufacturers & Associations (IFPMA). 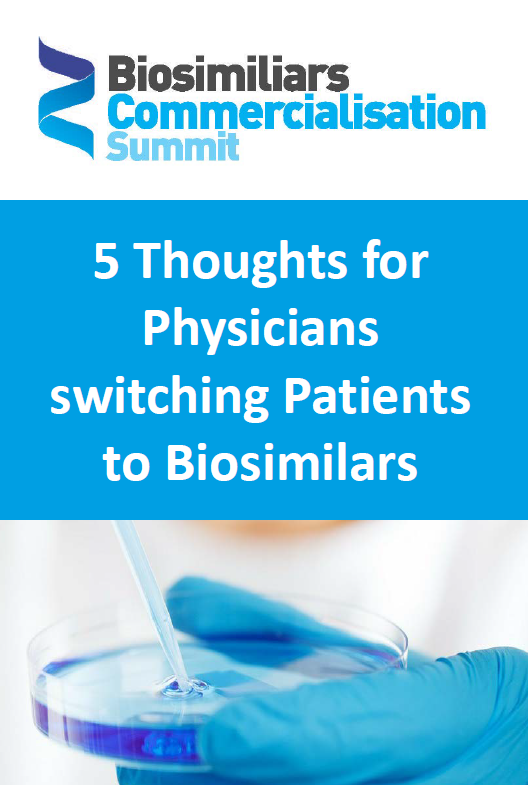 Download this piece to learn more about the guidance they provided on the key aspects that should frame the decision making process when contemplating a switch to biosimilars.